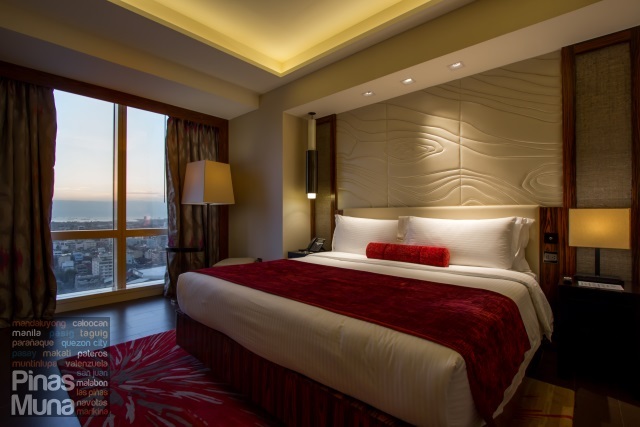 We are often asked us the question "Which hotel is perfect for a weekend staycation in Manila where the rooms are beautiful and room rates are very affordable?" 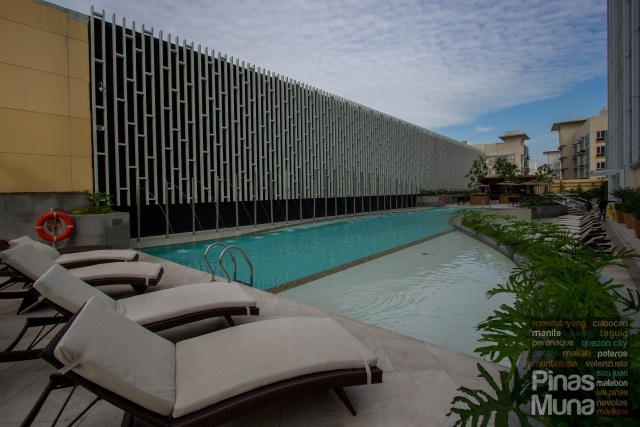 It has always been a difficult question to answer until we tried out Winford Hotel in Manila. 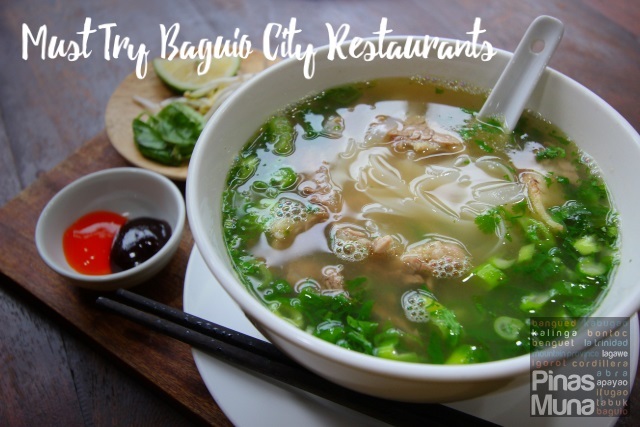 It is home-grown hotel brand which is located in the San Lazaro Business and Tourism Park, just beside SM City San Lazaro, in Sta. Cruz, Manila. 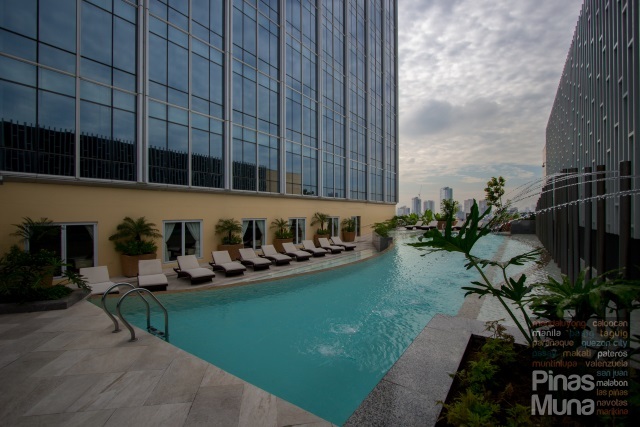 Winford Hotel opened in 2016 making it one of the newest hotels in Metro Manila. 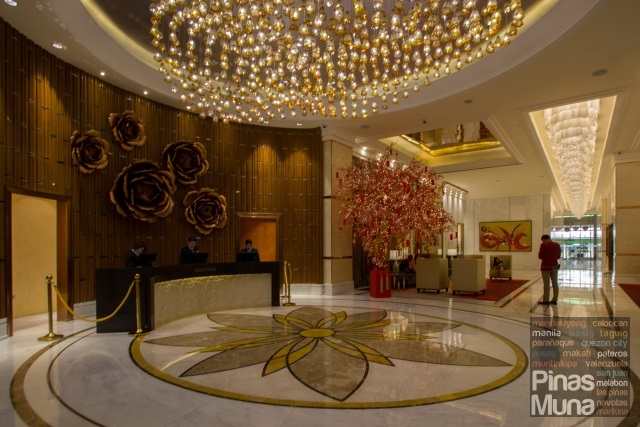 The hotel's reception lobby is accessible through the main entrance located right across SM City San Lazaro, or through the hotel's driveway leading to the multilevel parking. 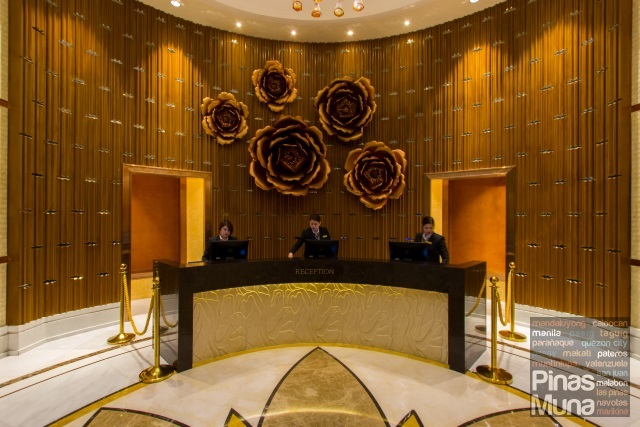 All checked-in guests are allotted with one complimentary parking space per room. 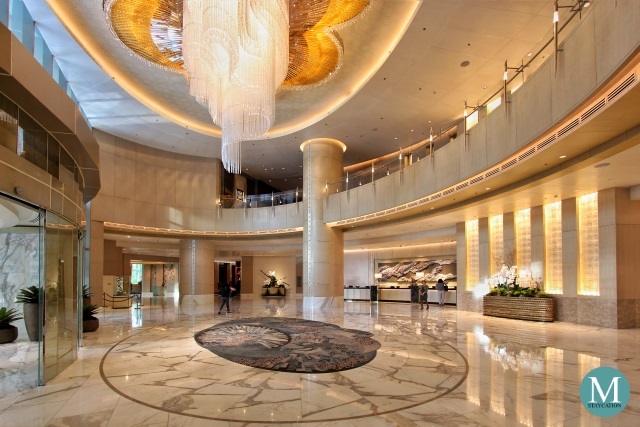 Stepping into the hotel's lobby, you will immediately notice the generous use of marbles on the floor which reflects the gleaming lights of the chandeliers hanging on the ceiling. 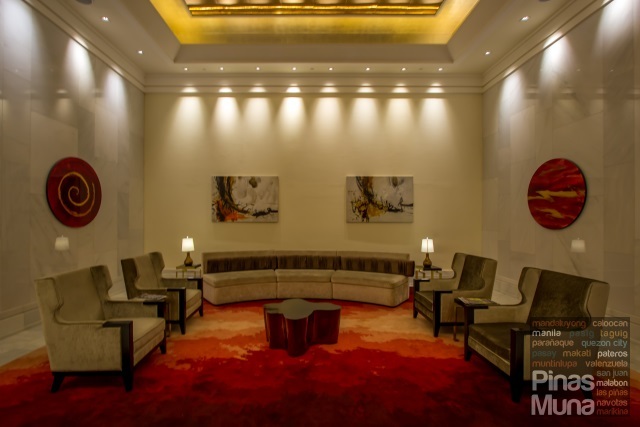 Red and gold are the primary colors used in the design of the interior, two of the most auspicious colors that do not only invoke a feeling of warmth but of luxury and elegance as well. For this particular staycation, we booked our room through the Traveloka mobile application. 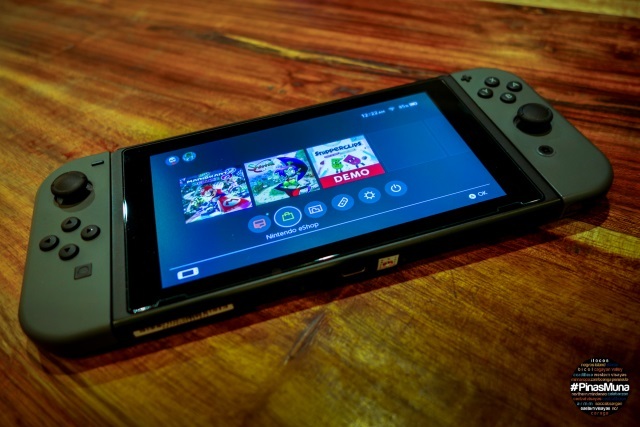 I learned that booking the room directly with the hotel can be more expensive, and by booking via the Traveloka mobile application, we got to save a couple of hundreds of pesos. Traveloka regularly gives away promo coupons as well from its mobile application, which entitle the users with additional discounts. In our case, we used a promo code which gave us up to P700.00 discount. We then paid our booked room via 7-Eleven which I find very convenient. The check-in process was really quick. After presenting our Traveloka voucher, and completing the guest registration form, the front desk receptionist handed to us the electronic keycards to our room. We booked an Executive Suite (58sqm) and requested to be placed in a non-smoking floor. 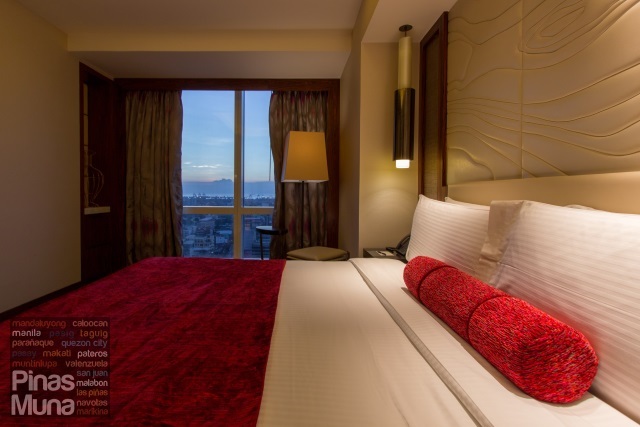 We got the suite for only P4,327.01 via the Traveloka mobile application. 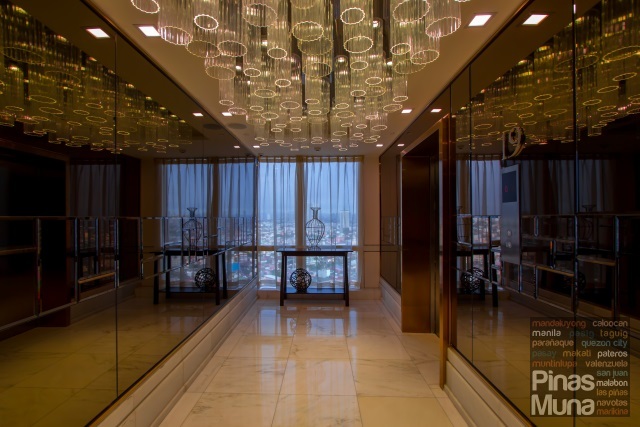 For a one-bedroom suite, this is a steal, especially for a hotel located in a prime location in Manila. Now let's look at the suite. 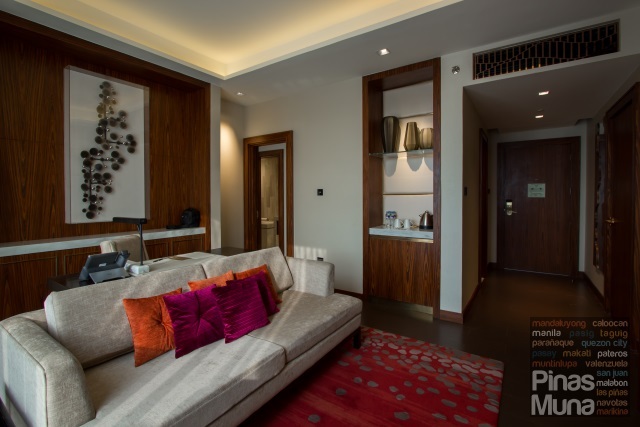 The Executive Suite has a separate bedroom and living area. The living area is furnished with a sofa, a couch and an executive table with chair. There's a 55" flatscreen television with local and international cable channels. There's coffee and tea making facility, as well as a minibar. The living area has an attached half bath. 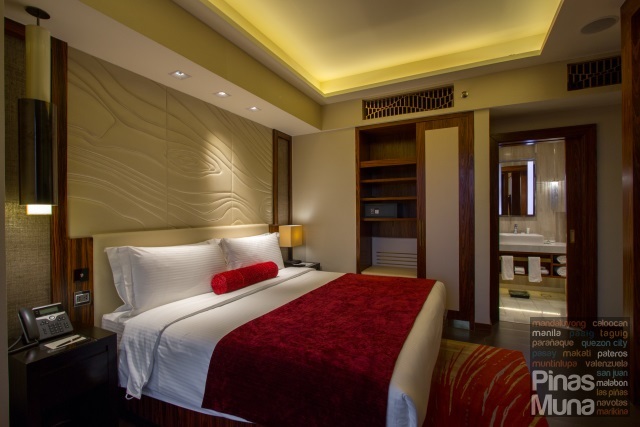 The Executive Suite is available in different layouts. The suite where we stayed had the executive table placed behind the sofa. I enjoyed this layout because I could watch the television while blogging. 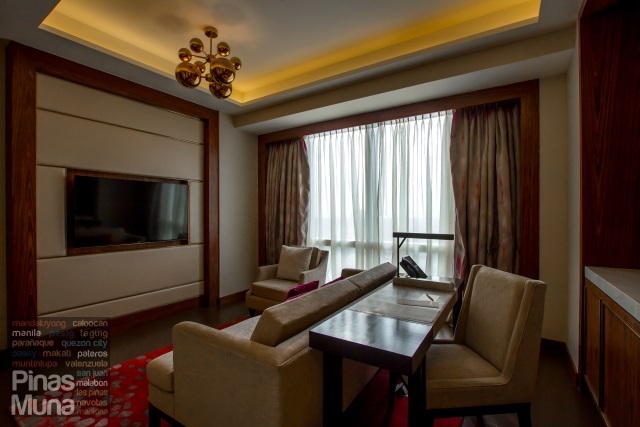 Families on the other hand will enjoy the suite where the executive table is placed on the side, freeing up space in between the sofa and the television. The bedroom is furnished with a king bed, two bedside tables, a wardrobe, and a luggage rack. An in-room safe and an ironing board are smartly concealed inside the wardrobe. An iron is available upon request. I particularly loved the red theme of the bed runner and the carpet. The prints of the curtains and the carpet also added a modern touch to the interior. 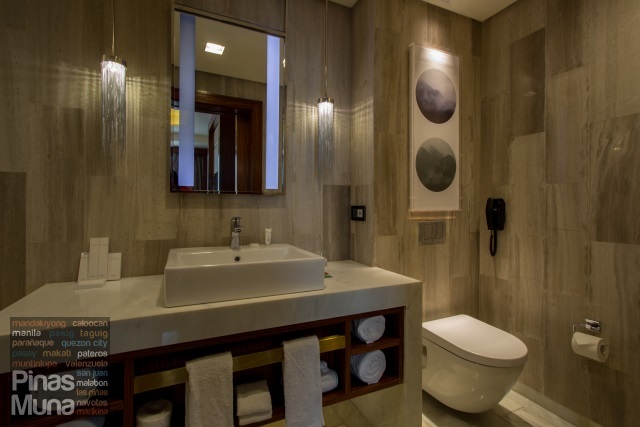 Hardwood and marbles were generously used in room as well, echoing the luxurious feel of the lobby into the suite. The feature wall and the abaca fibers add texture to the design while warm lighting gives a cozy feel into the space. 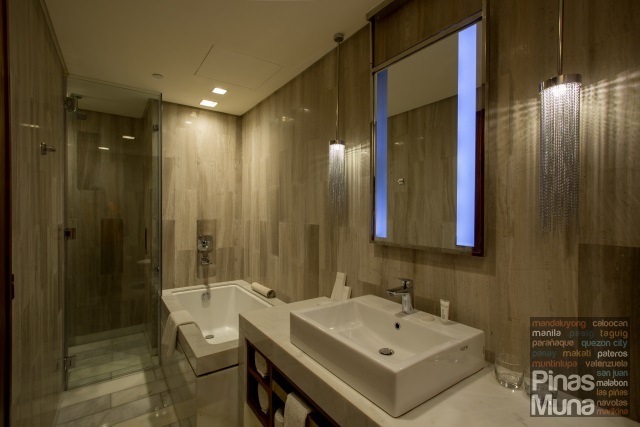 The bedroom has an attached bathroom with the floors and walls clad in marbles. The bathroom has a separate bathtub and walk-in shower. Winford-branded toiletries as well as high quality cotton towels were also provided. The toilet however is not installed with a bidet spray. The 29sqm Deluxe Room is equally stunning in shades of blue and earth colors which bring the refreshing colors of the sea into the guestroom. I honestly prefer the Deluxe Room especially for a lazy weekend mostly spent in bed. 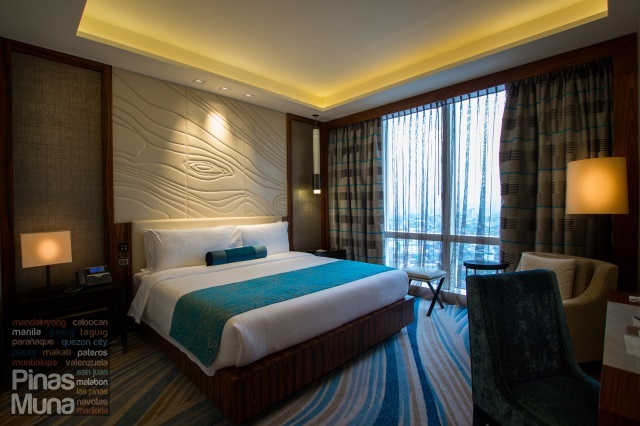 With room rates starting below P4,000.00 (for a Deluxe Room) and below P5,000.00 (for an Executive Suite) via the Traveloka mobile application, a staycation at Winford Hotel is one of the best value you can get for your money. 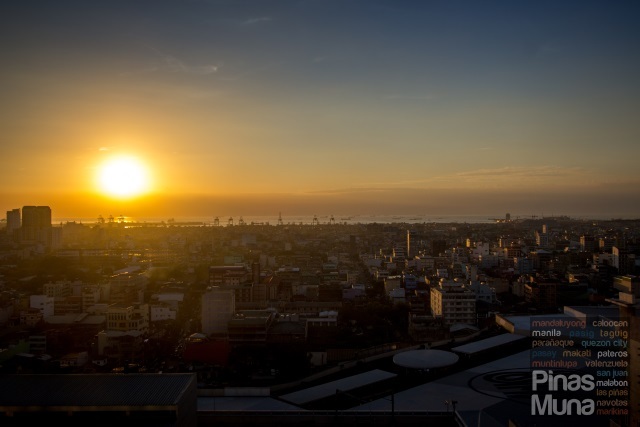 TIP: When staying at Winford Hotel, make sure that you request for a room on a higher floor and facing the bay area for that million-dollar Manila Bay Sunset view. 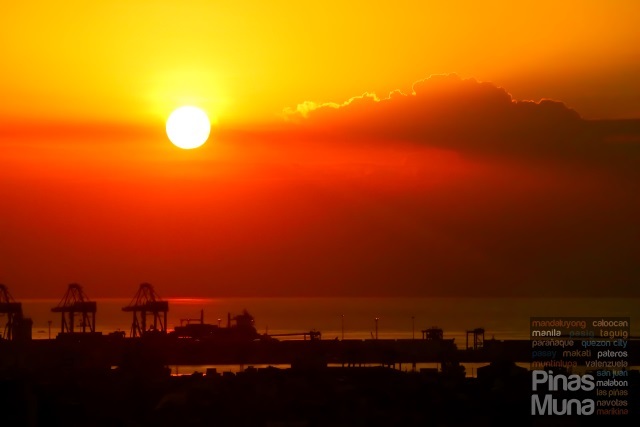 During our stay, we actually waited for the sunset at the comfort of our room. It was worth the wait. 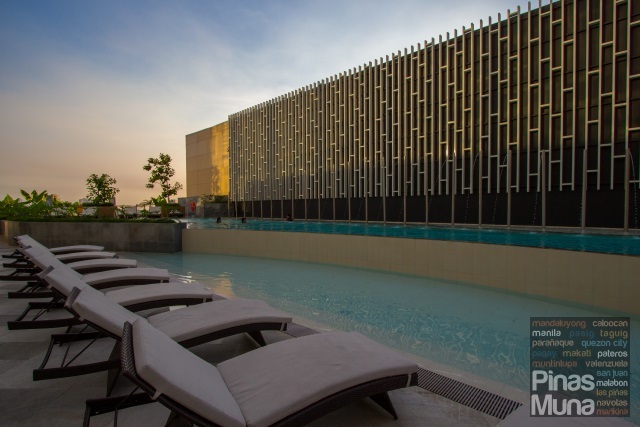 Families will surely enjoy the open air swimming pool of the hotel. There's a shallow section for kids and a four feet section for the adults. Sun loungers are also available for guests. There's a lifeguard on duty to ensure the safety of the guests. Drinks and snacks may also be ordered in the nearby poolbar. 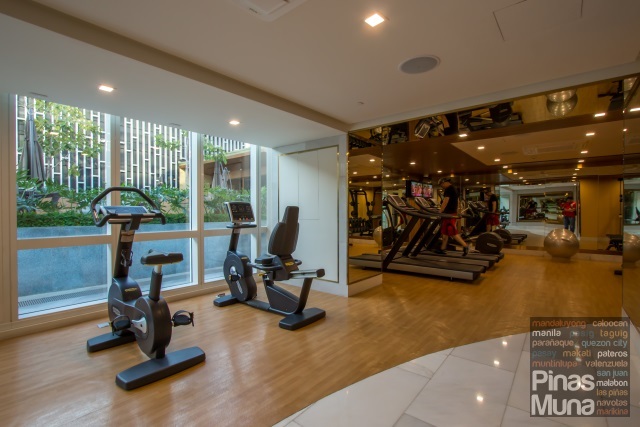 Located on the same floor as the pool is the hotel's fitness center equipped with some of the latest fitness training machines and free weights. A gym instructor is also available to assist you with your work out. 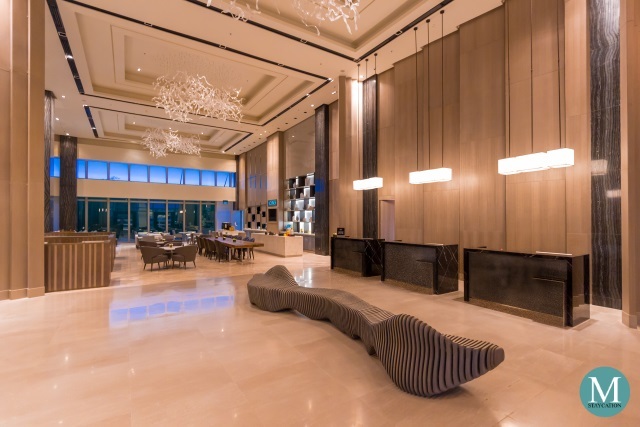 Guests staying at Winford Hotel may opt to book the room only or the package which includes buffet breakfast for two persons at the hotel's all-day dining restaurant located on the ground floor. 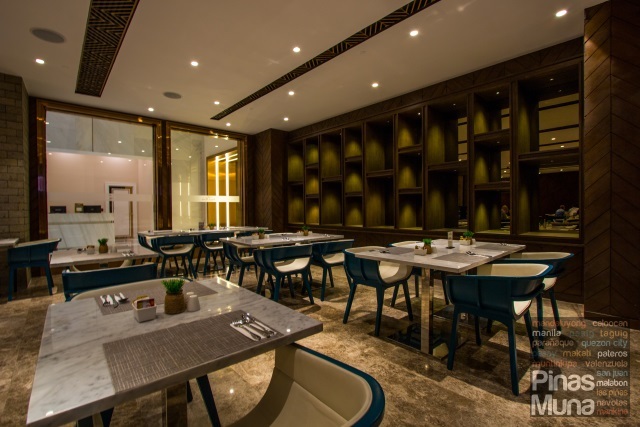 The restaurant has a good selection of Asian and Western dishes to cater to the diverse nationalities of its guests. 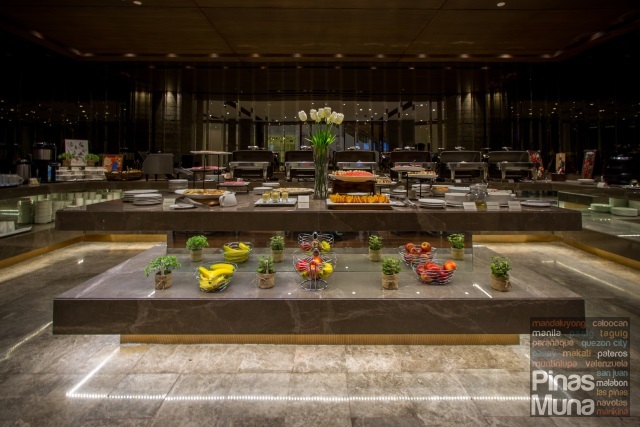 There a section for breads and jams, soups, salads, viands, eggs, desserts and fresh fruits. 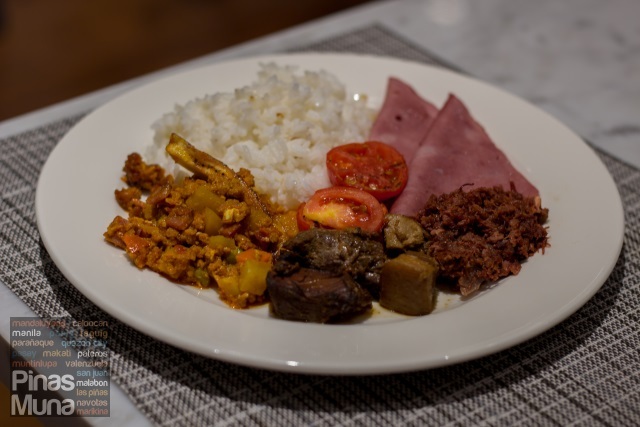 During our stay, we had Chinese ham, corned beef, chicken and pork adobo, pork a la cubana, scrambles eggs, and fresh fruits. The restaurant's staff were very attentive to the guests' needs and are very prompt and accurate when taking orders. 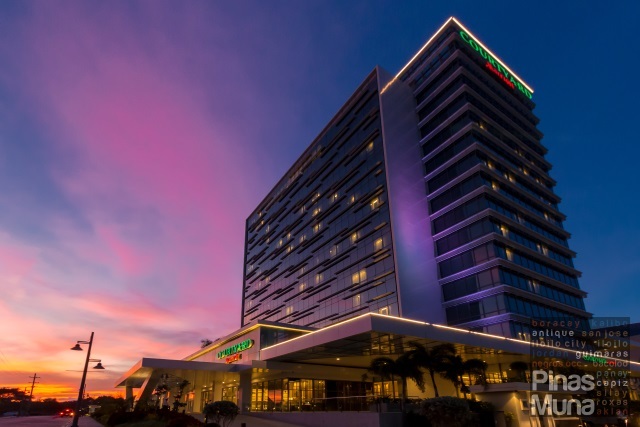 You may also opt to book a room without breakfast and just cross the street towards SM City San Lazaro or dine at the McDonald's located on the ground floor of the hotel. There's also a 7-Eleven store where you can buy late nigh snacks or drinks. So there you have it. 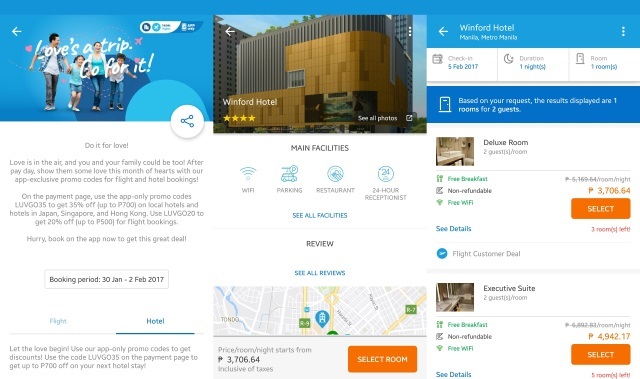 If you are looking for an affordable but quality staycation in Manila, do check-out Winford Hotel in San Lazaro Business and Tourism Park. 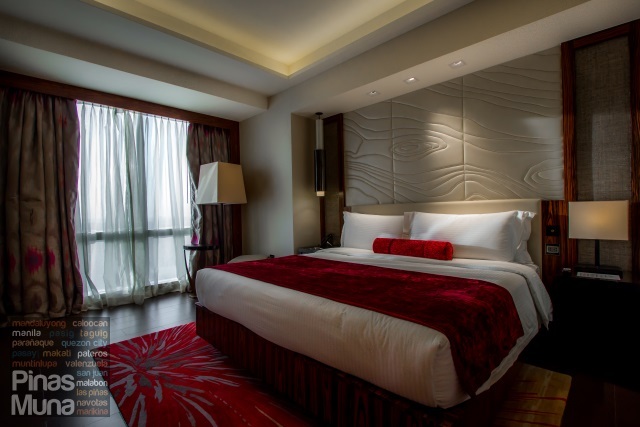 Don't forget to book your room via the Traveloka mobile application to avail of the lowest room rate for this property.